Back in high school I was able to run three miles in under 21 minutes, sprint the length of a football field and now I can barely run a mile without wanting an oxygen tank. After starting to improve on my eating habits I knew that I needed to get myself back into better shape physically as well. Getting back into cardio activities is a daunting task that takes a lot of determination, and a whole lot of self motivation, but the results can be huge. In todays society many of us work long hours, have plenty of activities with the kids to take care of and often times the gym is not an option that works well. My life happens to fall into this category, the gym is out of the picture with my work schedule and all the other personal stuff going on daily so I knew it was time to take matters into my own hand, and use resources available in my daily life to help get on the right track. Just because you can't make time for the gym on a daily basis doesn't mean that you can't take matters into your own hands, and luckily there are a few great BlackBerry applications that make this much easier. With Mobile Nations Fitness Month underway I knew it was time to take it to the next level, so let's continue together to see how I have been working towards my goals. How would you like being able to carry your work out in your pocket with you anywhere you go? One application I found was My Fitness Friends, an application that allows you to create work outs on the go without the need for any additional equipment or weights. Whether you travel a lot and spend your nights in a hotel room or work the over night shift and are looking for a workout to do during your break, this application is a definite must have. After you launch the application you are presented with a pretty simple menu which allows you to start or create a routine, view your achievements, get some help or exit the application. Preloaded in the application are an ab and leg routine which they have created, but you can also create your own work outs to cater to your preferences. 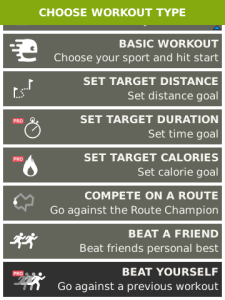 If you chose to create your own routine there are 36 different activities to chose from to add, and once adding each activity you can decide on the duration which you plan to perform the activity for. You can select to do anywhere from 20 to 90 seconds per activity and then it will move along to the next activity in the list. Working out on your own is never easy, and with BlackBerry Messenger allowing for social integration into applications, the great thing about My Fitness Friends is that you can share your work out with friends via BBM. Whether you want to show off what you have accomplished, or challenge a friend to compete with you on the same work out, you can do so with ease. After completing a work out you can post the updates to your BBM profile so you can show off what you have done, and hopefully get some of your friends to be active along with you. In addition to crunches and push ups I like to also mix in some time on the elliptical, out on the bike, and recently I have been adding in some running in the evening in an extra effort the get things going. 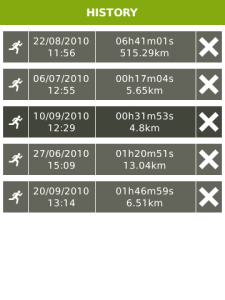 Personally I like to be able to track my runs, view how far I went, how fast I went, how long it took me to do it all and be able to easily keep records of this. Whether out on the bike, playing tennis, doing pilates or just out for a walk I have found Endomondo Sports Tracker to be a great option for keeping my stats and helping me continue to push through my workouts. 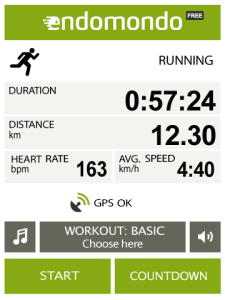 Endomondo is a cross platform application that allows you to use your devices GPS capabilities to track how far you have gone, and it couples that with a built in timer to track how long it has taken you to get there. Setting up the application is extremely simple, put in your name and email, select a password and you are ready to start using it, and of course you can add more information like height and weight as well as switch between metric and imperial measurements. One of my favorite parts about Endomondo is just how powerful it really is, not only can it track my runs and bike rides, but it can also help track time spent doing activities like pilates, playing tennis, windsurfing, and a whole bunch of others as well. Personally I can't go out for a run without music, it just doesn't work no matter how hard I try and luckily right from within the application you can select what music you wish to play, or you can use the application in addition to any other music player you may prefer. 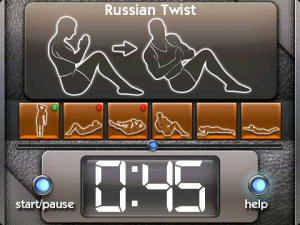 To start a workout or activity all you have to do is click the start button and the timer will begin. From here you can see your duration of activity, how far you have gone, how many calories were burned and an average pace, all of this becomes very motivating as you get into it more and more. If you need to stop for any reason, say you ran to your destination, you need to shop and then you will be running back home, you can pause the workout and resume it once you are ready to go again, or you can simply end it and begin a new one when needed. Each time a work out is started and finished it will record the activity into a personal log, documenting all of the details broken down. Having your previous workouts and all of the information at your fingertips can be used as a great motivational technique since you can push yourself to beat your previous times, and go further then you did the last time. Once you finish a workout you can post your stats to Twitter and Facebook or post it to your BBM status, which is great so you can show to others the progress you are making. All in all working out is no easy thing, if it becomes something that is easy to you, take it to the next level. 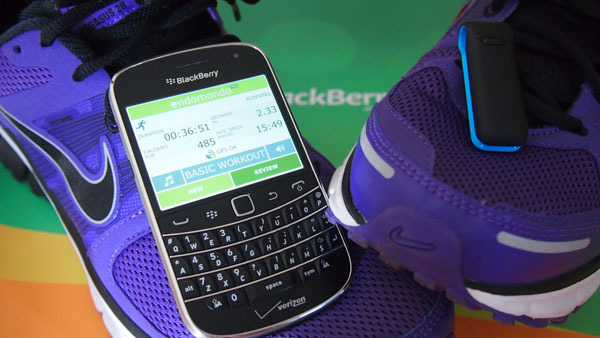 With the help of some great BlackBerry applications you easily go from being a couch potato to a marathon contender if you put your mind to it.